The ultra-versatile Pico is simple to use and anyone can play it. Light and portable, it packs a powerhouse of features. Use it to play solo, play and record loops, change scale and key, transpose, alter tempo, program beats, create arrangements, switch and layer multiple sounds, all while playing live. It's ideal as a solo instrument or for playing in a band. 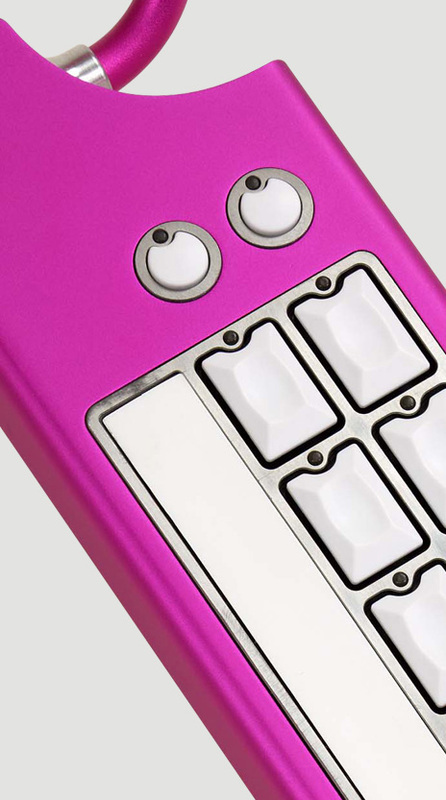 With 18 playing keys and 4 mode keys, a strip controller and breath pipe, the smaller Pico has the majority of the playing features of the Eigenharp Alpha. 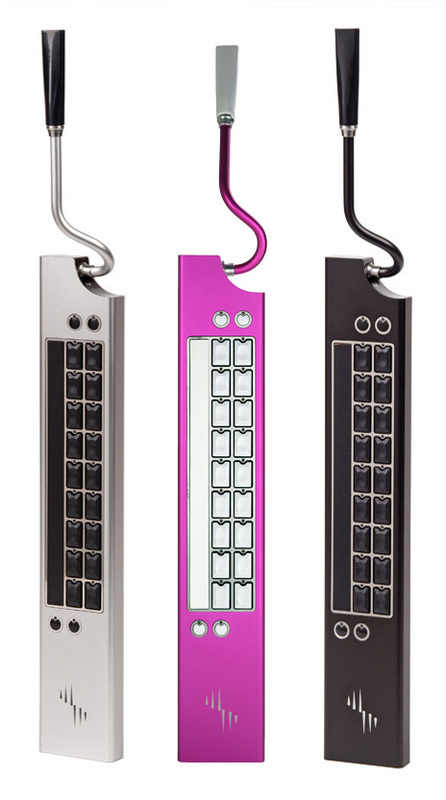 It plays an unlimited range of sounds and is available in three finishes. The Eigenharp Pico, with its ease of playing and transformational approach to learning scales and music theory, represents a new and easier way to learn to play a musical instrument. The Pico gives you freedom to express your creativity through improvisation like no other electronic instrument in existence. The Pico requires a Mac or Windows 7 computer to run. Click here for full software specification. Eigenharp Pico in robust carry case/box. Product Activation card for website support and tutorial materials. 3M Pico to computer USB2 connecting cable. Eigenlabs 500Mb USB stick with the latest version of EigenD software for Mac and Windows 7. Eigenlabs DVD with EigenD support materials including all media and sound files. Sampled at 2000 samples/second, per key. 10 bit (1024 values) resolution. Sensitive to direct pressure and to lateral pressure in both directions. 10 bit (1024 value) resolution. Sensitive to blown and drawn breath. Removable, interchangeable mouthpiece for easy hygiene. 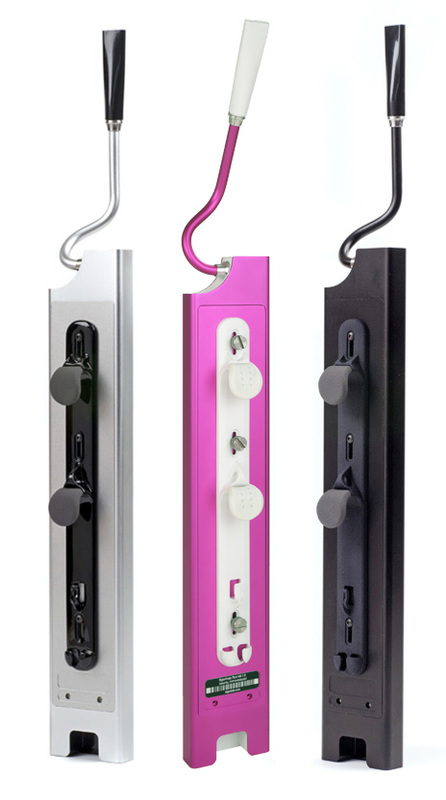 Conformable, height adjustable thumb hooks. 1500 AIFF format (timestretch and tempo change capable) varied Percussion and Drum loops. Sampletekk 'Black Grand Steinway D, sampled at 20+ levels in a 6 Gigabyte set that includes three recordings from dry to highly ambient. Sampletekk 'Tubed Rhodes', a multi sampled Rhodes Electric Piano. Sampletekk 'Tubed Wurli' electric piano in a Gigabyte multi sample set. We can currently ship to anywhere in the United Kingdom, United States and Canada as well as all countries in the European Union. 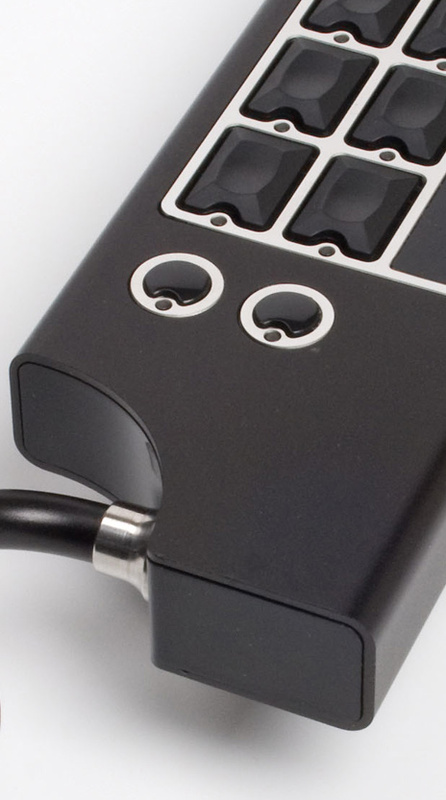 We are also aiming to ship to other countries worldwide once we have resolved the regulatory compliance issues. Usually ships next working day. Your card will only be charged when we ship your order.